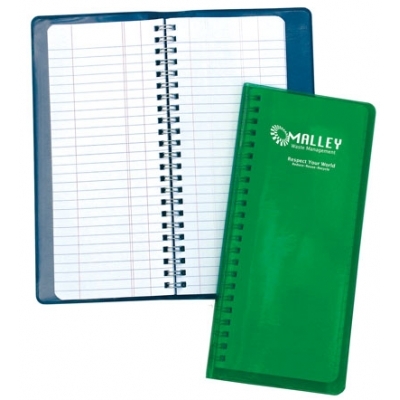 Flexible Tally Book that you can fill both sides with your logo and other information. Flexible cover options are designed for those that pocket their tally books offering more comfort as the body twists and turns. Great for tower climbers, electricians, wind turbine, oil rigs, water and cable repairmen. Optional Insert: Securely inserts into front or back cover and has three clear view insert pockets. Great for contact numbers, charts, and more.